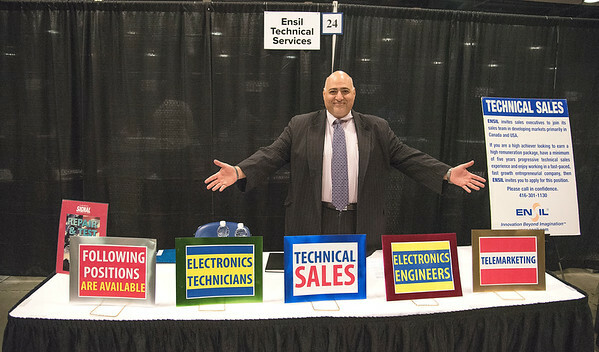 Niagara Falls, NY - Louis Koikas, Ensil Technical Services vice president of operations, is looking for some qualified candidates for these positions at the Niagara Falls Job Fair. Ensil Technical Services, in Niagara Falls for 35 years, is an electronic engineering company that designs and repairs circuit boards and electronic assemblies. Governor Andrew M. Cuomo and Mayor Paul A. Dyster sponsored the job fair at the Conference and Event Center Niagara Falls. Attendees had the opportunity to connect with more than 80 potential employers.